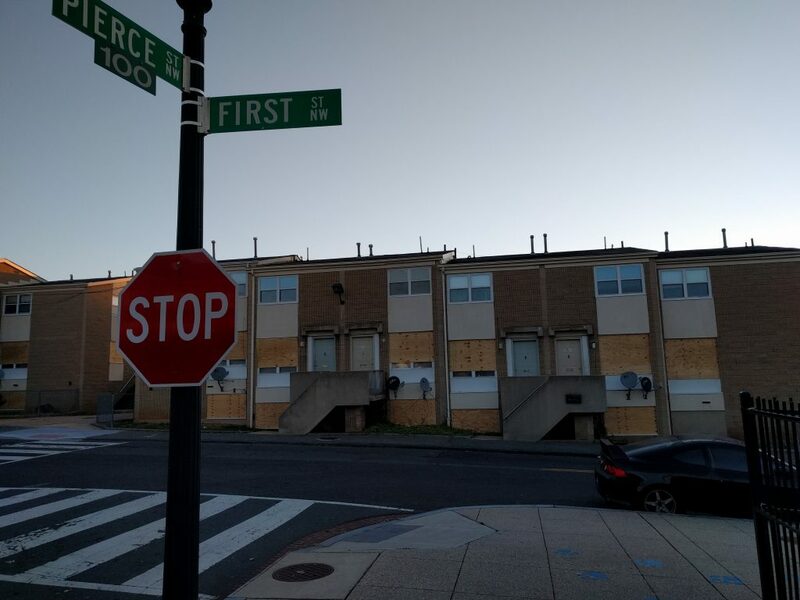 I noticed walking by the Sursum Corda housing coop on 1st St NW that a large amount of the units, including all of the units facing west, have just recently been boarded up. Check out the pics attached. Could this finally mean the end of Sursum Corda? The last I heard back in May, the redevelopment project was still looking for a new source of financing after Winn Development Co. backed out of the deal. But I haven’t heard any updates since. “In 2008, the District tore down Temple Courts amid poor housing conditions for residents that needed housing. The New Communities Initiative was launched and after a long wait, progress is now being made on a promise to rebuild. This important proposal includes 517 affordable units reserved for DC families split between those earning up to 30% of AMI and up to 60% of AMI. This award not only replaces the units that previously existed at Temple Courts, but adds new affordable housing for DC residents. Just as important, new affordable units include 3- and 4-bedroom units to serve larger families — a major priority for Councilmember Allen’s in building and preserving affordable housing in the District. Approximately 255 units will round out the mixed-income development at market rates. In addition to the construction of nearly 800 homes for DC families, this project will deliver over 50,000 square feet of neighborhood serving retail space for local businesses and job creation.